- an online market research tool which monitors industry trends and gives you strategic analysis and a market size and market share database for all your products across all your key countries. Passport is Euromonitor International's global market analysis software platform, which analyses the industry in countries around the world. 4. Enter your keywords in the search box then press "Enter" or click the search icon (magnifying glass). 5. Search results will be displayed on your screen. 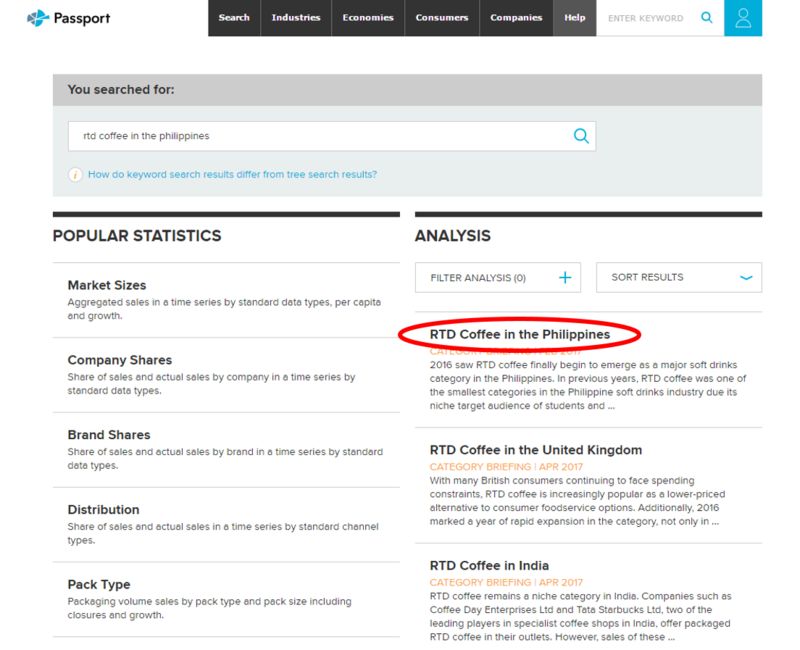 Look for RTD Coffee in the Philippines then click it. 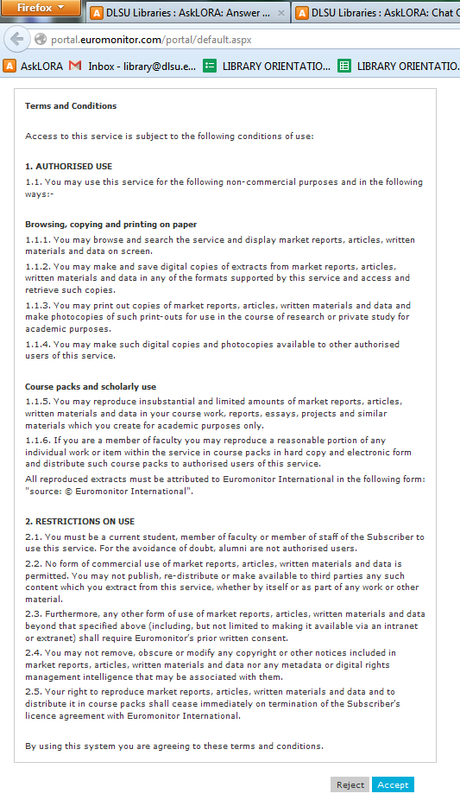 6.To download the PDF file of the report, click the download button then choose PDF.